At Select Roofing we are experts in the installation of Safe Access Systems and training in Work at Height and Roof Safety protocols. We have designed and implemented fall arrest and roof safety systems on a large amount of our projects and we also provide consultancy and external training programmes for Work at Height certification. The Roof Safety division of Select Roofing is one of our most important and we have brought in some of the most experienced professionals in the industry to ensure that our specialised offerings are the best in the market. Our Height Safety Division delivers solutions direct to the marketplace but we also work closely with main contractors to supply height safety and fall arrest solutions to their client base. 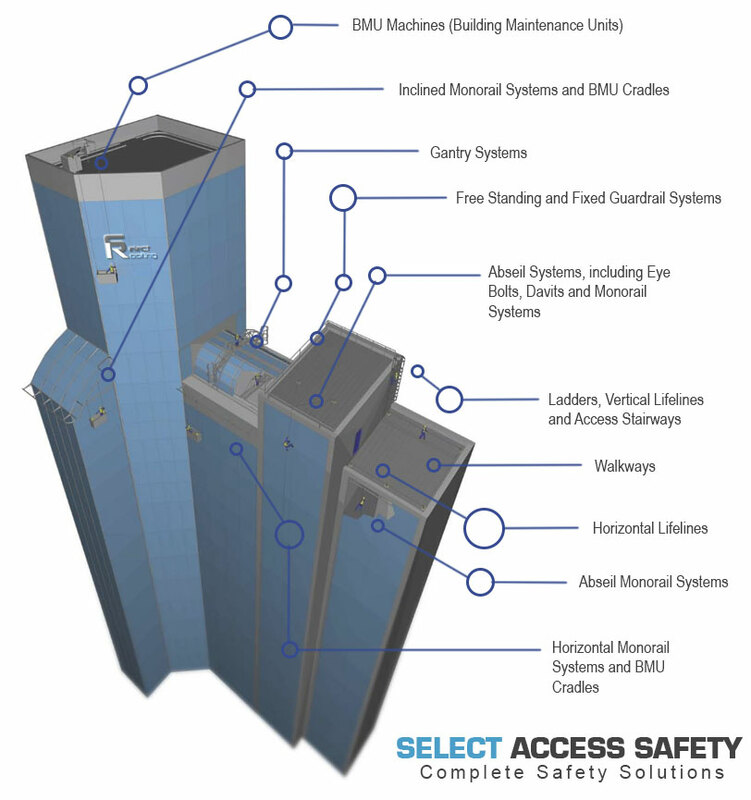 We work with the best suppliers in the industry such as Cable Safe and AllenKey to ensure that your building’s roof safety, fall arrest or roof access system is site-specific and designed to the highest specifications and in accordance with all regulatory requirements and construction standards. We are also dedicated to designing and implementing high quality educational and training programmes in conjunction with the Health and Safety Authority’s guidelines and regulations concerning Working at Height. Following these regulations is an obligation for many businesses and a requirement for proper insurance and health and safety certification. So talk to the experts in roof safety installation and training and find out how our Safe Access Systems and educational programmes can help your premises to become a safer and more secure environment. You can call us on 01 4642534 in Ireland or 0044 1753701109 in the UK, e-mail us at enquiries@selectroofing.ie or use the button below.